Raising her voice to support the rights of people seeking asylum in Australia. 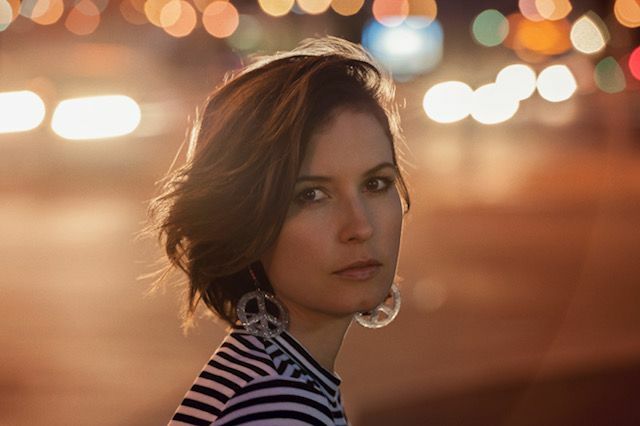 The Asylum Seeker Resource Centre (ASRC) today announced the appointment of award winning singer-songwriter Missy Higgins as their newest Ambassador. Over the years Missy has been a dedicated supporter of the ASRC taking part in telethons, appeals and donating the net profits from her 2016 single ‘Oh Canada’. Missy is excited to support the great work of the ASRC who are dedicated to a more humane approach to the treatment of people seeking asylum. “The ASRC do such important work. I’ve seen first-hand how they’ve changed the lives of so many people seeking a safe place to live. We’re so lucky in this country, and opening up our arms to people in need will only make us stronger and better. I’m thrilled to be helping out the ASRC in any way I can and am very proud to now be an Ambassador,” Missy said. ASRC Founder and CEO, Kon Karapanagiotidis is rapt to have Missy on board. “We are so proud to have Missy Higgins join us as our newest ASRC Ambassador. Missy demonstrates a genuine passion for human rights and her wonderful support of the ASRC over the years has helped connect Australians to the harsh realities people seeking asylum face. Songs like ‘Oh Canada’ really resonate with the community, they change public perceptions and put the pressure on our government to change inhumane policies,” he said. In her role as Ambassador, Missy will partner with the ASRC to raise awareness, funds and inspire support for their work. Missy is not the only celebrity to raise her voice in support of refugee issues and joins a host of other Australian entertainers including Wally de Backer (Gotye) and Mark Seymour as an ASRC Ambassador. Last year, Missy released the heartbreaking single, ‘Oh Canada’ about a young boy who dies fleeing Syria. The song was inspired by the gut wrenching images of Aylan Kurdi the three year old Syrian boy whose body was found on a beach in the Mediterranean in 2015. One hundred per cent of the net profits from this song were donated to the ASRC. As a mother herself, Missy was inspired to dedicate her song to this issue and inspire people to speak up for the rights of those seeking asylum. Missy writes on her website: “Like most people, the photo of little Aylan Kurdi being carried out of the water shook me to my core. We often read about the tragic plight of refugees but I think that picture exposed us to the reality in such a raw way that the truth became inescapable. From where I sat in my comfortable living room nursing my newborn son, the tiny child in that wrenching image could have been my own little boy. I felt overwhelmed by a profound protective instinct for him and people like him”. Missy’s emotional performance of ‘Oh Canada’ at the recent ASRC telethon held on ‘World Refugee Day’ was a highlight of the event which went on to raise an impressive $660,816, more than double its target. “We have been blown away by the extraordinary support for our telethon and winter campaign. This money will help to provide life changing housing, food, legal aid and mental health services to over 3,000 people seeking asylum and refugees this year. It will have an incredible impact on so many lives and we are so grateful for the generosity of our supporters. This result would not have been possible without supporters like Missy,” Kon said. As part of the diverse movement standing with people seeking asylum, we have been shocked that the Turnbull Government has again changed the rules for people who came by sea, forcing thousands of people to lodge their applications by 1 October 2017. Sign our petition to Peter Dutton and Malcolm Turnbull to stop this cruel attack on people seeking asylum in Australia. We see almost 50 people in our clinics each week, including vulnerable families and people who have been tortured, who are unable to lodge their applications without legal assistance. The Government has forced thousands of people to wait over 3 years to apply and, at the first opportunity they are seeking our assistance. With our friends at GetUp and other sector partners, we will deliver the petition in Canberra. Your action is powerful. On 19 July the ASRC are alongside GetUp and 71 organisations around the country to gather a candlelit vigil for the men, women and children detained offshore, to shine a light in the dark. We will stand with those who have suffered, mourn those who have lost their lives and demand everyone on Manus and Nauru be brought to safety.